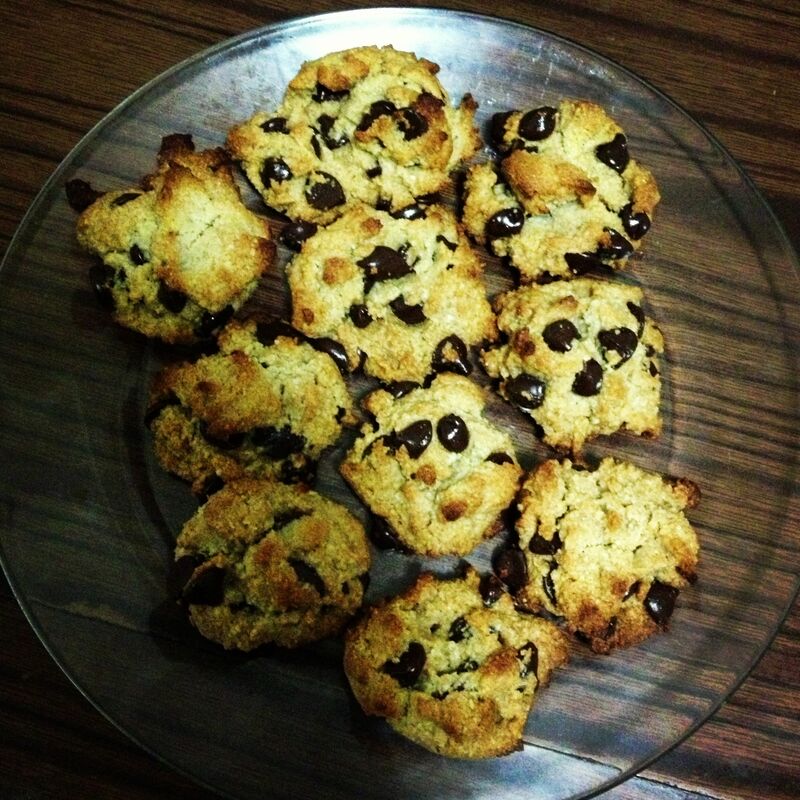 2013: It’s a New Year, So Have a Cookie! Happy New Year! Today is day 1 of a brand new year, and this year is the first time since 1987 when a year had four different numbers! Cool, huh??? 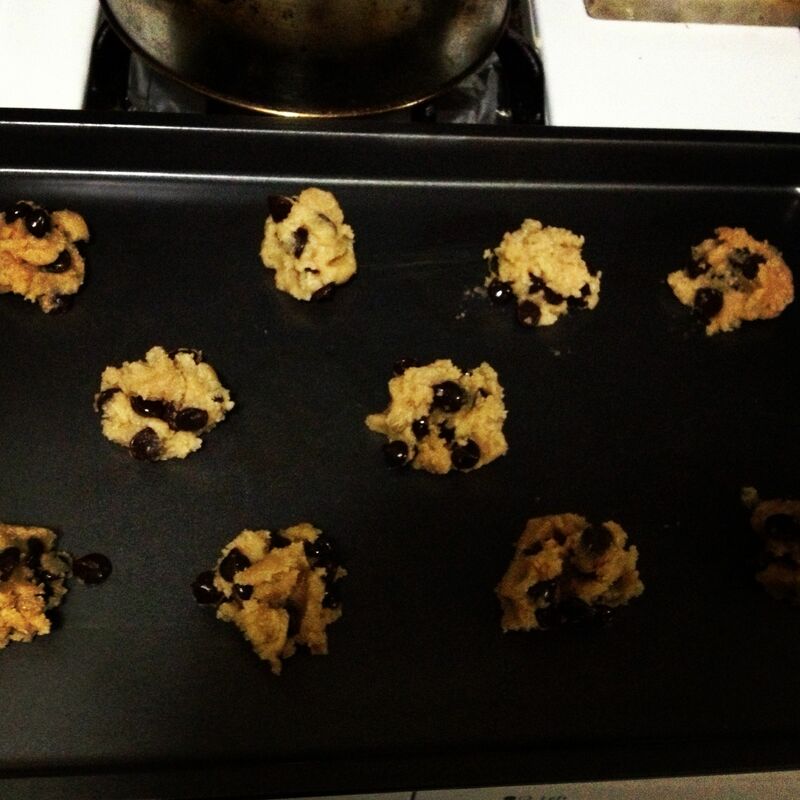 I decided that on January 1st, 2013, that I would also go on a Baking Adventure, so I went to Whole Foods and bought ingredients to bake some paleo chocolate chip cookies! By the way, I got the recipe from this site, though I decided to get chocolate chips instead of chunks because, well, they were cheaper! 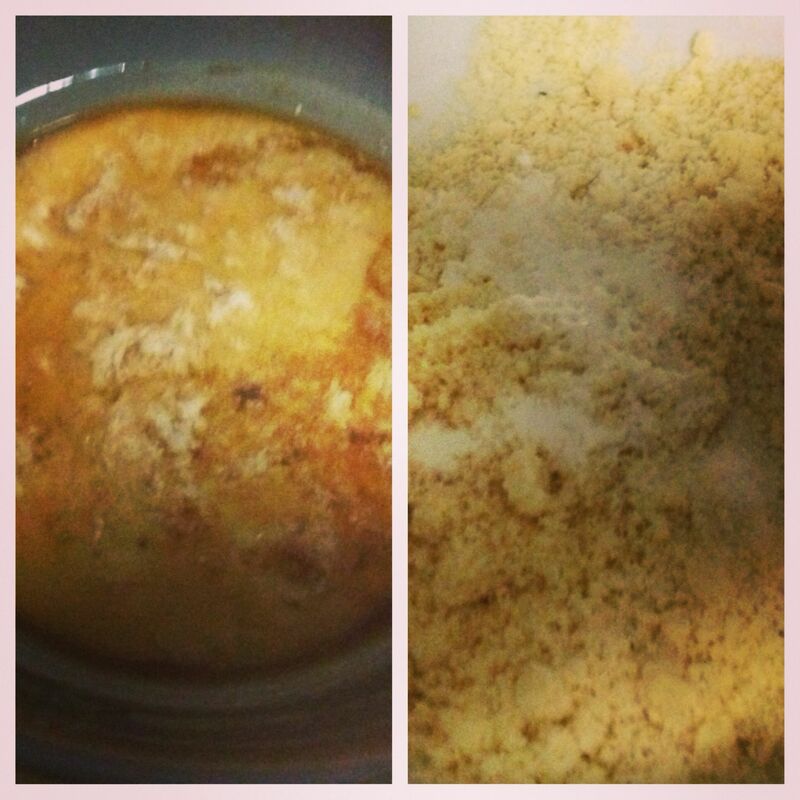 I also pasted the recipe on the body of this blog post to make it easier for y’all. 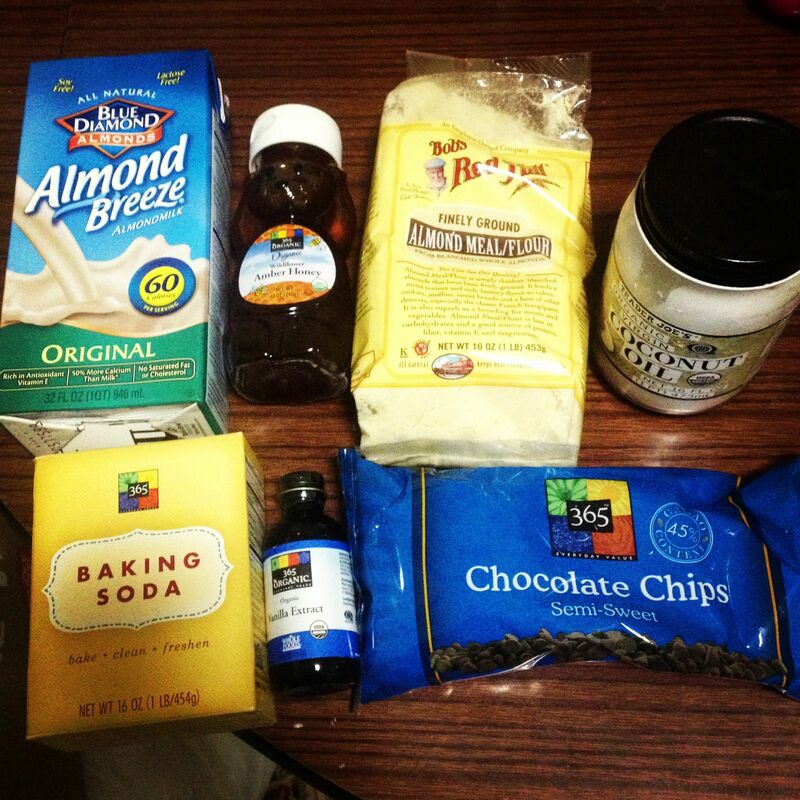 Here are the ingredients for some paleo baking! 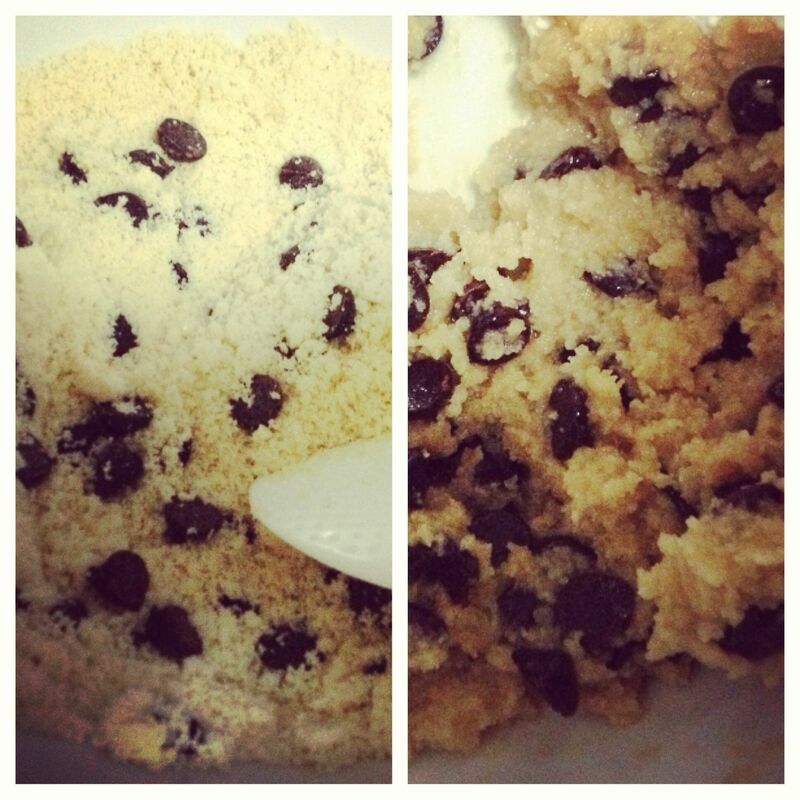 Mixed in the chocolate chips, then mixed everything all together! Fresh out of the oven. Smell was DIVINE! TADA! 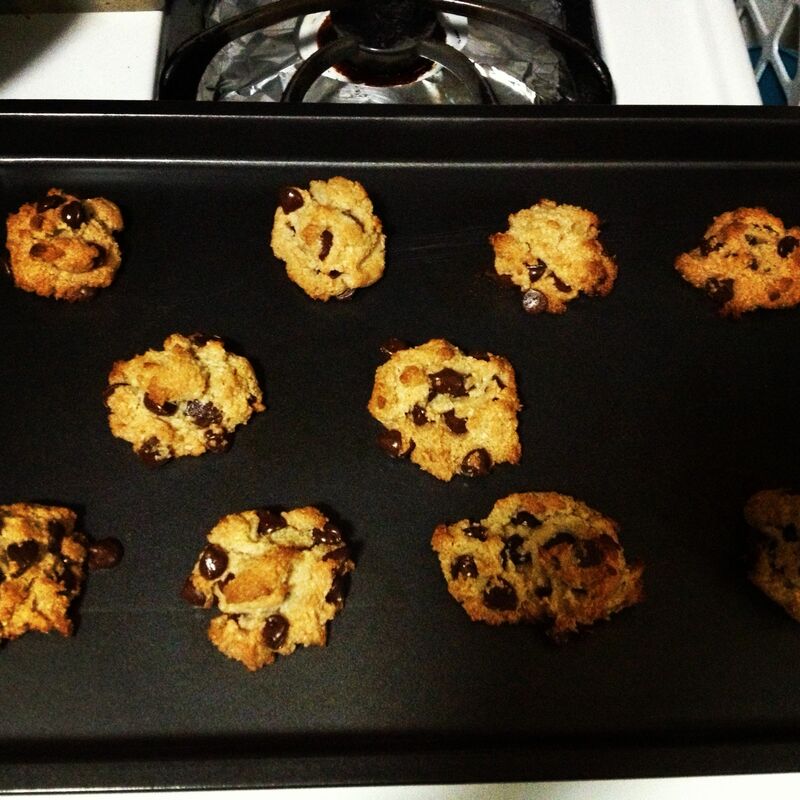 1st ever batch of paleo chocolate chip cookies! Author: Originally posted by the fabulous Gina Matsoukas! Mix together thoroughly the wet ingredients in a small bowl. Add wet to dry and mix together. Fill a tablespoon measure with batter and press down to form a half-circle. Spoon the batter out onto baking sheet and lightly press down in the center. Bake for 10-11 minutes until bottoms just start to turn a delightful brown. Remove from oven and let cool 2-3 minutes. They will be soft when removed from oven but firm up in a couple of minutes.